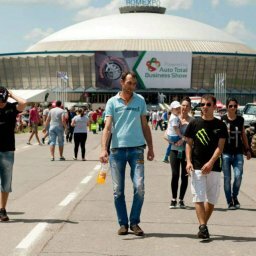 During the 9th – 10th June weekend, tens of thousands of auto fanatics came from all the corners of the country to watch, at Romexpo, the show of some of the best drift pilots from Romania. 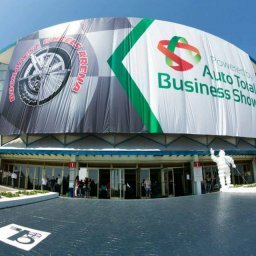 In spite of the heat, the acrobatic Moto Stunt demonstrations, the super-tuned cars, the fun competitions and the beautiful hostesses created a perfect atmosphere at the seventh Auto Total Business Show Edition of Bucharest (ATBS). The event was organised by AD Auto Total, in partnership with the Romanian Chamber of Commerce and Romexpo. Romexpo was the hot spot of adrenaline addicts and of the auto-technology fanatics. Followed by a numerous and enthusiastic public, the best drift pilots forced their competition bolides in dangerous Drift Games, real stunts under the emblem of the Romanian Drift Community. The engine admirers cheered the impressive acrobatics masterfully executed by Zoltan Angyal and Hristo Alipiev. Hercules’s descendants, holders of titles granted under significant national and international strongman competitions, they strained their muscles at maximum in demonstrations of hundreds-of-kilos weight lifting. Among the participants in this tough confrontation, a top place was held by: Parjol Family, the strongest family in Romania, under the lead of Mircea Parjol, national bodybuilding champion and multiple strongman champion. The bear drinking contest was one of the participant’s favourite. The alley in front of the Central Pavilion hosted, under the spectators’ eyes, tens of altered cars and the latest trans in tuning: vehicles which benefited from investments of tens of thousands Euros, from minuscule jewels such as the original Fiat 500 and a BMW E30, which exceeds 650 horse power, up to vehicles equipped with audio systems of over 24 000 W. The fine details were equally appreciated by the jurors, from the best painted car, in the most interesting colours, to special external and internal kits. The star of the weekend awarded with the title of the best ATBS-exposed car was a Volkswagen Scirocco. 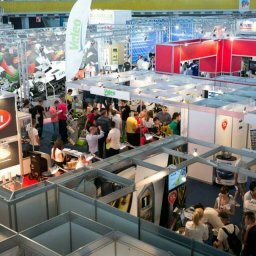 In over 100 stands of the Central Pavilion, the premium automotive manufacturers from 30 countries (Japan, Germany, France, UK, etc.) 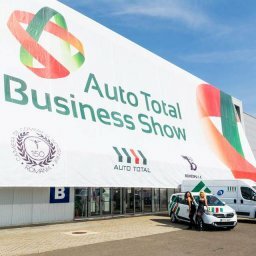 exhibited revolutionary gadgets and state of the art solutions for the automotive actors.